Kevin Keegan on a dustbin - LFChistory - Stats galore for Liverpool FC! 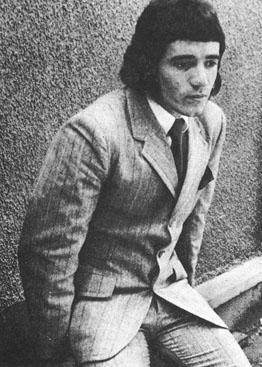 Liverpool signed future legend Kevin Keegan from Scunthorpe on 10th May 1971. "Mighty Mouse" describes the eventful day in his autobiography. I was sitting on a dustbin outside the temporary offices of Liverpool Football Club when three or four photographers arrived. 'Can I take a picture of you sitting there?, asked one. 'Well, they are signing a load of rubbish, so people might as well know it straight away,' I joked. There was nowhere else for me to sit. I sat on the dustbin for twenty minutes after the photographers had left. Keegan began his Liverpool career in exploding fashion with 2 goals in his first 4 matches of which Liverpool won three. Shankly was certainly impressed by what he saw: "I was just as sure of Keegan as I was of Denis Law and I never had cause to think again about Denis. These two players are so much alike in number of ways. Keegan is an exciting boy all right", Shankly said in late August 1971. Keegan remembers the way The Kop greeted Liverpool's new player: "The self-appointed representative of the Kop came on the field to greet me. He gave me a kiss, and the smell of booze on his breath almost knocked me off my feet. He needed a shave as well as his beard was rough. The police accepted this ritual whenever there was a new player.This Kopite was a nice old fellow with no harm in him. He kissed me,then kissed the grass in front of the Kop and went back to join his mates in the crowd." Kevin Keegan became a star for Liverpool on a scale that never had been seen. Such was the adulation of the fans. He left Liverpool when he was at the height of his powers. Keegan had his reasons: "I'm not a Scouser and I've never pretended to be. I've never made out to feel as passionate about, for example, derby matches as true Scousers do but at the same time I still hold the club very close to my heart. The fans are brilliant, they always supported me and even when I decided to move abroad I think they understood my reasons for doing so. It wasn't that difficult a decision to leave in the end because I felt I was stagnating at Liverpool. Bill Shankly had gone and I just felt there was another mountain for me to climb somewhere. I was just being honest with the punters and I think a lot of them accepted my reasons. As it happens they didn't do too badly out of it because they went out and bought Kenny Dalglish. Having sold me for £500,000 and then paying £440,000 for Kenny. They banked £60,000 which was a great piece of business."